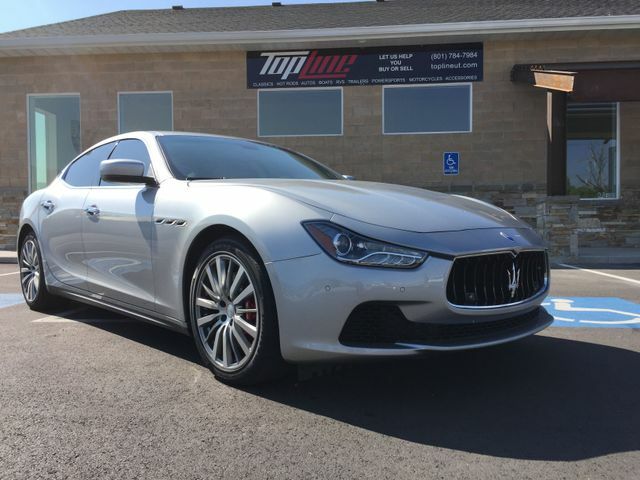 2014 Maserati Ghibli QS4 AWD This car only has 14k miles and smells like a new car! If you love Horsepower (410) and a four door car that feels like a two door race car this is for you! Save a fortune over buying new with a MSRP of close to 100k this is a great buy and still has the 5 year 50k mileage factory warranty left. Tires were installed on 8-25-17 and alignment 8-26-17. All recalls are up to date by Maserati Of SLC also the oil change / service was just completed 8-24-17 by them. Of all the cars we have got to drive over the years this one is in the top three for fun and still practical. No accidents and one owner. Call to set up a time to see this car.